Believe it or not, I have not always loved to cook. There was a time in college when I lived off of Power Bars and Domino’s pizza. I thought a home cooked meal was a box of mac n’ cheese with a can of ranch style beans mixed in. Somewhere along the way I decided that the junk I had been eating was no longer cutting it. I started out cooking from memory things that my dad had made growing up. Then for Christmas one year Matt’s parents gave me the Williams-Sonoma cookbook “New Flavors for Vegetables,” and it totally transformed the way I viewed cooking and food in general. It really inspired me to try new foods and techniques that were completely foreign to me. That was at least seven years ago, and I have never turned back. The first recipe I tried out of “New Flavors for Vegetables” was a recipe for Stuffed Poblanos with Black Beans and Summer Squash. It is still a favorite that I have now made dozens of time. 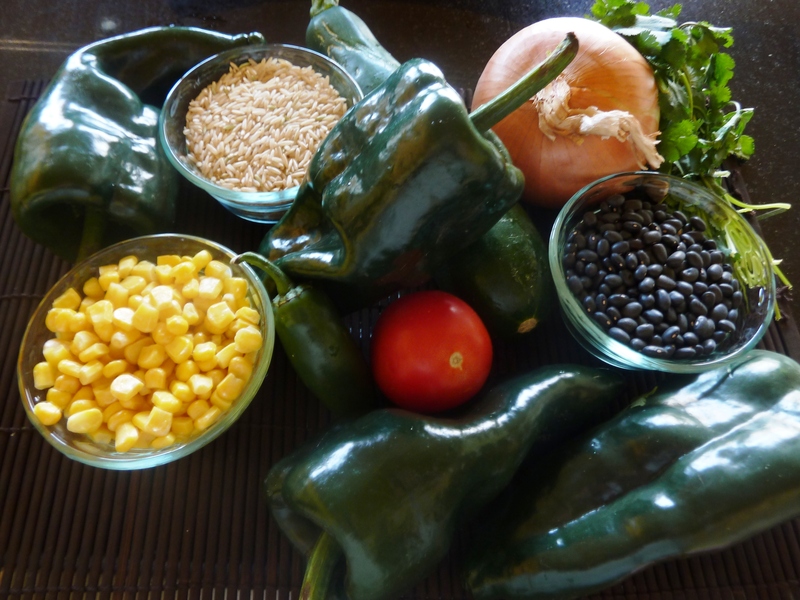 It has been modified over the years, and evolved into my stand by recipe for Chile Rellenos. 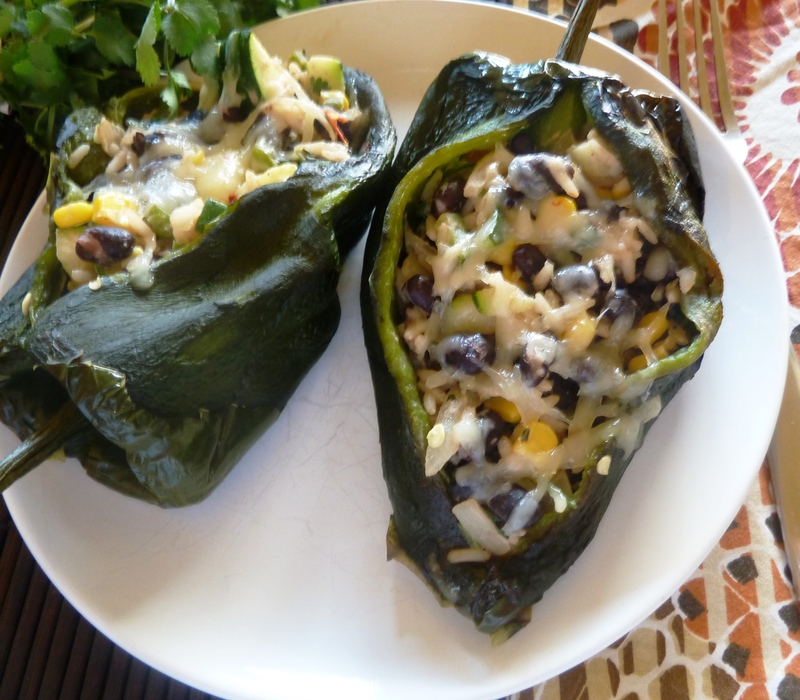 This recipe may not be the meaty, cheesy, greasy beast you normally associate with the term “Chile Relleno.” These peppers are instead stuffed full of nutritious ingredients like black beans, zucchini, and brown rice, sprinkled lightly with pepper jack and baked. To prepare the poblanos, place on a baking sheet directly under the broiler, turning every few minutes until they are charred on all sides. Remove the poblanos from the oven and place in a brown paper bag. Fold the bag closed and let the poblanos steam for about 5 minutes. 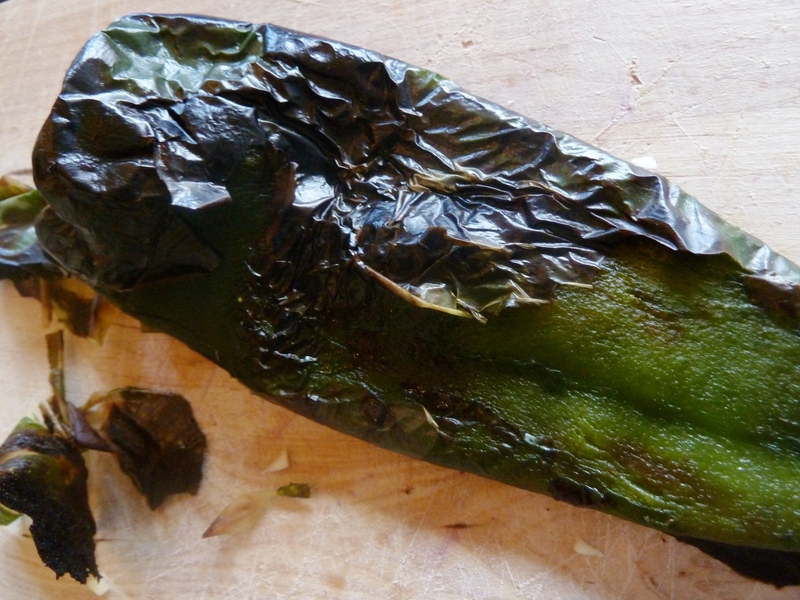 Remove the poblanos from the bag and peel off the charred skin. Cut a slit lengthwise down each one and remove the seeds. To prepare the stuffing, heat oil in a large skillet over medium heat, add the onion and jalapeno, and cook stirring frequently for five minutes. Add the zucchini, cover the pan and let sauté for 5 minutes. Uncover and add the tomato, cumin, and salt and cook 2 more minutes. 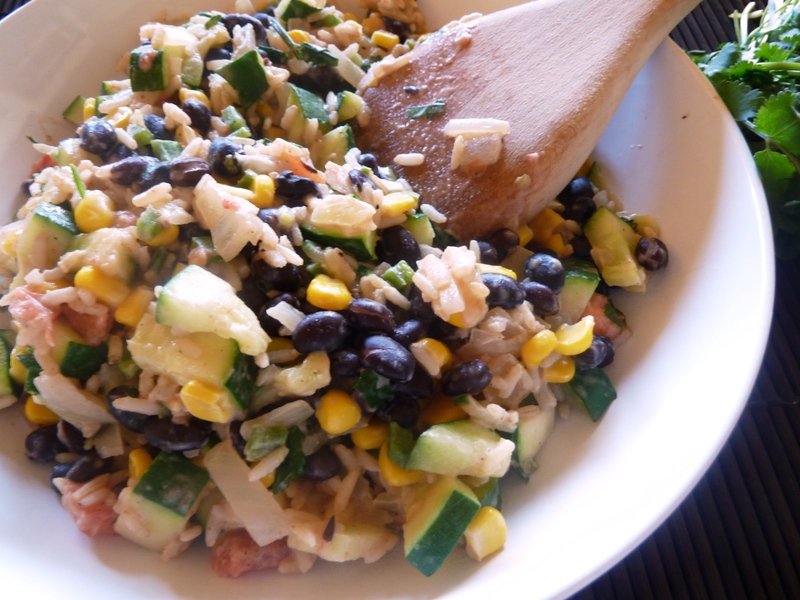 Add the beans, corn, rice, cheese and sour cream and cook stirring frequently until the cream cheese is smooth and melted. Remove the pan from the heat and stir in the cilantro. Place the poblanos in a 9×11 baking dish and fill with stuffing(there may be some stuffing leftover, which is great to feed to younger children who do not like spicy peppers) and top with pepper jack. Bake uncovered for 15-20 minutes until the cheese is melted. Serve immediately.